Here is a short collection of articles on the hedge fund industry in Denmark. I am always looking for more valuable online tools and resources to add to these geographical hedge fund guides to the hedge fund industry. If you have a white paper or PowerPoint that I can include here please send me an email and I will post it for everyone's benefit. Denmark and Norway hedge towards the future with announcement of new regulatory regime. Aiming at attracting more oversea investors, Denmark and Norway have both announced the introduction of a more lenient regulatory framework for the hedge funds, with includes a more transparent tax regimes and less regulation for managing the funds. This Article discusses the taxation issues regarding establishing a hedge fund in Denmark and to its potential investors. Warning lights in Denmark. Investment in private equity is becoming increasingly popular in Denmark, with some investors allocating as much as ten percent of total assets. In this article, I&PE's analyst Paula Garrido examines how Denmark's pension funds are structuring their portfolios to include these alternative investments. This news archive contains most recent regulatory updates and developments in Nordic hedge fund industry. 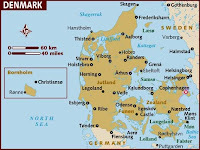 Hedge Funds in Denmark and Internationally. This comprehensive article introduces the recent development and future prospect of hedge fund industry in Denmark. In addition, it also covers various hedge fund strategies and their risks in relation to prime brokerage and to investors. Review of Danish Capital Market. Composed by International Monetary Fund, this report gives a broad overview of Danish capital market, with detailed descriptions of the legal framework and regulation of both of its bond and equity market. The report also provides a future guidance on its rapid growing mutual fund sector and introduces the Danish Hedge Association. Scandinavians Arrange Emergency Funds to keep Hedge Fund Pirates from Destroying Iceland. Norway, Sweden and Denmark of 1.5 billion Euros to support the Icelandic Krona from an attack by hedge funds. These hedge funds are wielding what Warren Buffet calls 'Weapons of Mass Financial Destruction' (a.k.a. derivatives), who have targeted the country with short-selling 'bear raids' to try and drive the 300,000 people living in Iceland and their economy into bankruptcy for a quick buck. The Investment Fund Industry in Denmark. Taken from the Federation of Danish Association website, this article provides a overview of the Danish Investment Fund Industry, its organizational structure, pricing and cost structure and related legislations. One of Denmark’s largest banks, FIH is a corporate and investment bank specializing in financial services to Danish corporate, had selected SuperDerivatives (the benchmark for derivatives pricing and the leading provider of multi-asset front office systems, risk management, revaluation and online options trading solution) in order to strengthen and expand its capacity to trade interest rate derivatives. On the Hedge Fund Frontier. This year Scandium Fund Ltd. ranked among the xis best performing fund of hedge funds worldwide by MARHedge. In this article, the fund’s Co-founder and portfolio manager, Mr. Casper Hallas, shared with us the secret of Scandium’s success, his investing philosophy, and his opinion of the present state and future prospects of the Danish hedge fund industry. Danish Pension Provider Opts for Direct Hedge Fund Investment. PFA Pension, one of Denmark’s largest institutional pension providers with responsibility for $41.6 bn of pension assets, is set to distinguish itself from the majority of European pension scheme by investing directly in hedge fund. PFA plans to increases its allocation to equities and alternatives at the expense of bonds in the hope of higher returns. Denmark – Fund Market 2005 – 2006. This article introduces the economic and financial background of Denmark and its key trends in asset management service, and recent regulatory development (including tax) in fund governance. The regulation, taxation and distribution of hedge funds in Europe: Changes and Challenges. This report summarized the most recent legal development and regulatory changes occurred in the European region (up to 2006), and what are some effects that would have on the European hedge fund industry. Hedge Funds and the Financial System. The increasing prevalence of hedge funds has been a key trend in the international financial markets in recent years. This report created by the Denmark’s National Bank let us look inside the brief history of the Danish hedge fund industry, its present development and its future growth potential. The paper also examines the governance and regulatory structure for these hedge funds. Denmark's biggest pension funds will have to report on corporate social responsibility (CSR) as part of new legislation currently under development by the Ministry of Economic and Business Affairs.Under existing law, pension funds only need to state the kind of CSR guidelines they are following if they have an impact on their financial activities. Under the changes proposed, pension funds would no longer have a choice. Newly-formed Danish alternative investment firm Global Evolution is looking to make a name for itself in the emerging markets. The Kolding, Denmark-based manager is prepping its Emerging Markets Multi Strategy Fund for launch sometime in January with between US$50 million and US$100 million. Government-sponsored pensions savings scheme allowing foreign managers to gain visibility in the Nordic region. Fund manufacturers are exploiting new distribution models in Europe, where savings are migrating from banks and insurance companies to government-sanctioned fund selection platforms. The new Danish government-sponsored pensions savings scheme, the SP Valg-Folkebörsen, is allowing foreign fund managers to gain visibility in the region. Copenhagen, Denmark-based Danfonds is readying its first hedge fund, Frontier Market Fund, for launch later this year with more than €25 million (US$39 million). The firm will cap the fund at €200 million (US$315 million) and is in talks with potential seed investors. The Frontier fund, which will debut after September, will look for long positions in the frontier markets of sub-Saharan Africa, central Asia and the Caucasus, the Balkans, the Baltics and the Middle East. At the end of 2004, the Danish government presented a bill to create a legal and supervisory basis for establishing "hedge associations" in Denmark. According to the bill, hedge associations will be the Danish equivalent of hedge funds. Like hedge funds abroad, hedge associations will have full freedom to determine their risk profile and investment strategy. Denmark Country Report: In 2005, Denmark achieved the highest economic growth for a number of years and the GDP grew by 3.4 %. The growth is continuing in 2006 and especially domestic demand is making a substantial contribution. Private consumption is driven by higher disposable incomes, low interest rates, new loan products and accelerating house prices. Hedge Nordic reports that Danish fund of hedge funds Scandium Fund Ltd. was the sixth best performer in terms of sharpe ratio among all funds of hedge funds worldwide during the past year. This is according to figures published by hedge fund database MarHedge, which receives performance reports from 547 funds of hedge funds. The Danish venture capital industry is very much in its infancy but recent developments are ensuring that it becomes increasingly attractive to investors. Kim Forum Jacobsen of the Danish Growth Fund charts the country's rise and discusses its potential for future growth. With a highly educated population, state-of-the-art research in areas such as biotech, wireless technologies and photonics, Denmark has all the hallmarks of an attractive market for investors.